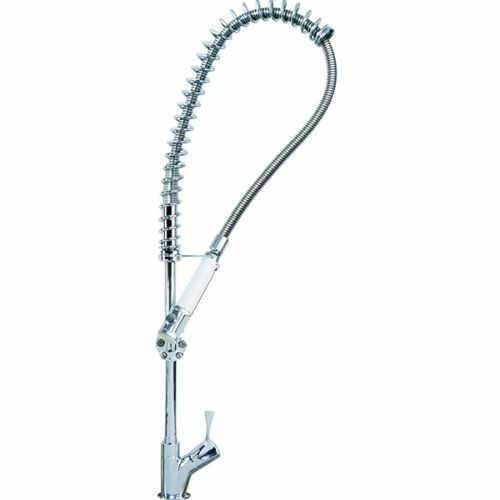 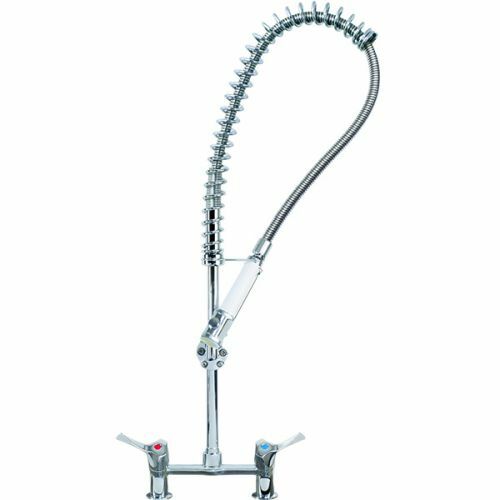 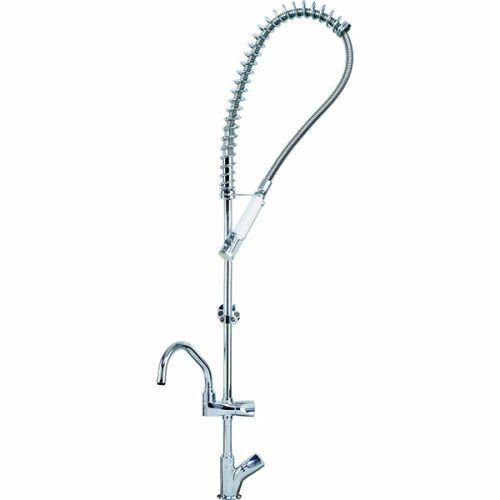 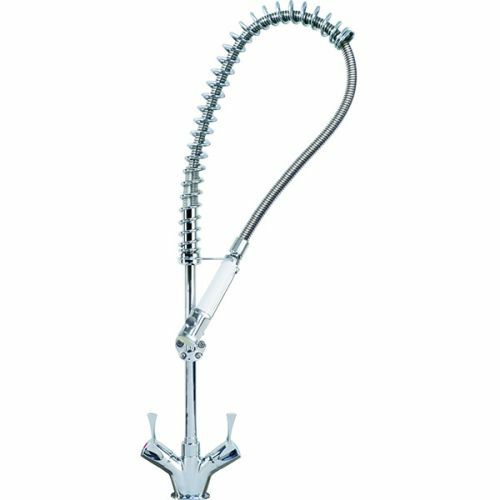 Pre rinse catering spray taps available for mixed water or individual hot and cold water supplies. 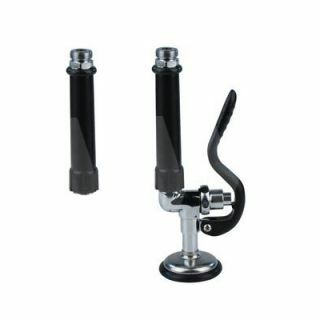 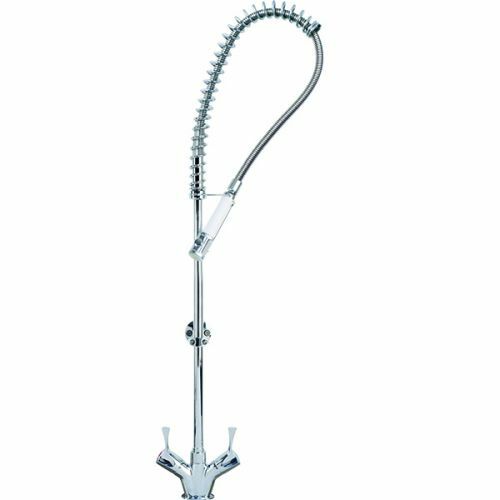 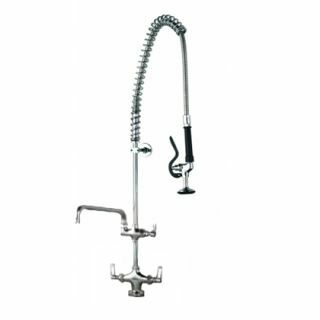 The pot wash taps are availble in three heights: standard, short or super short. 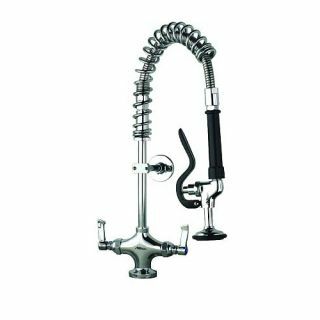 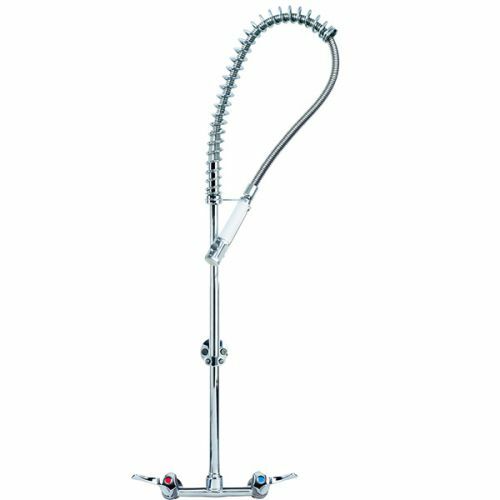 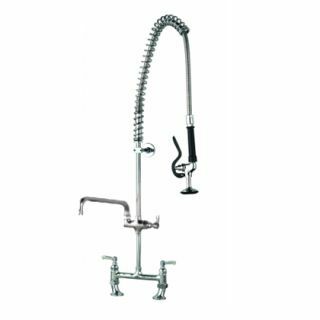 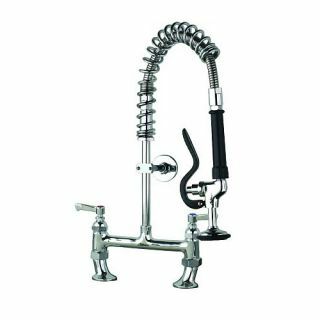 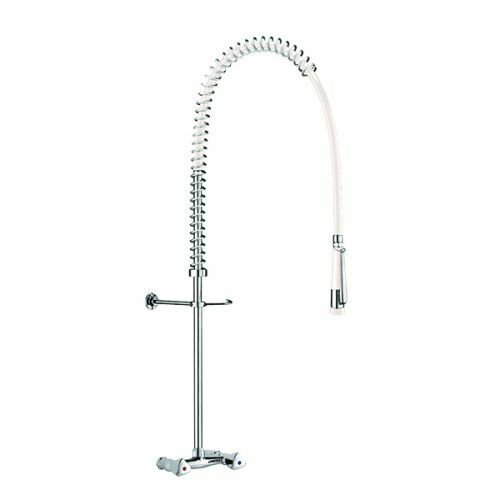 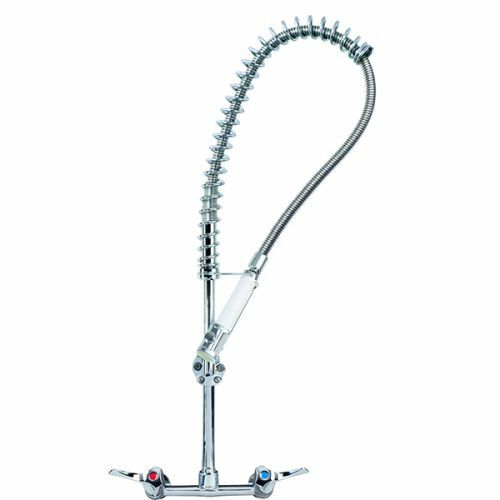 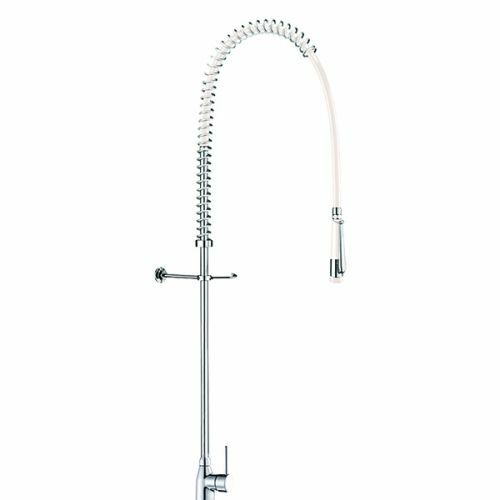 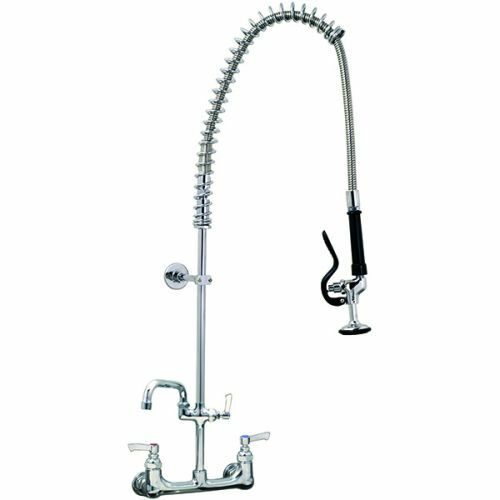 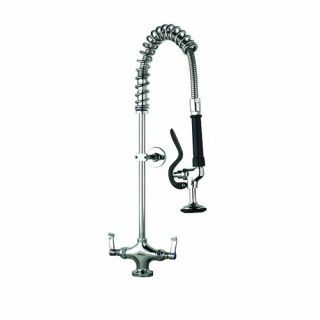 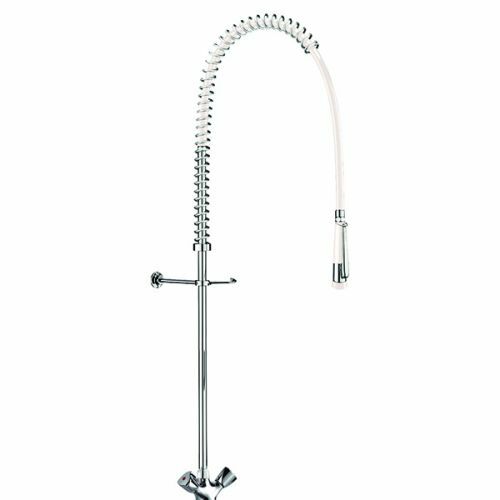 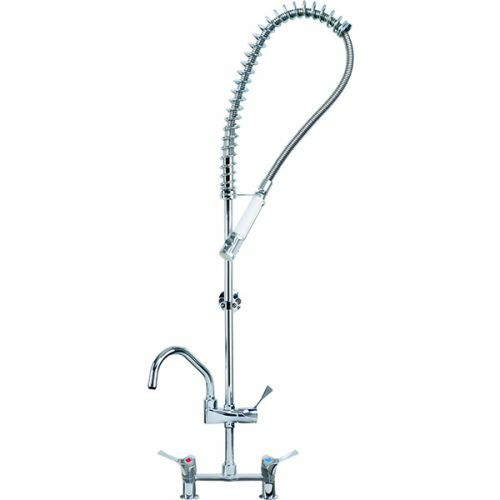 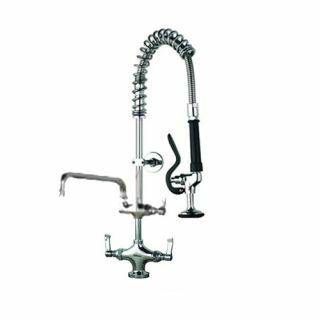 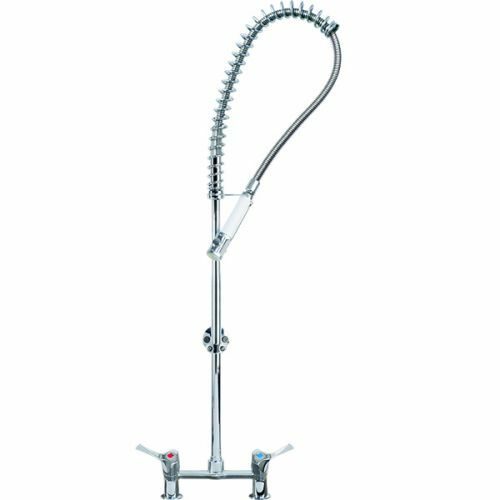 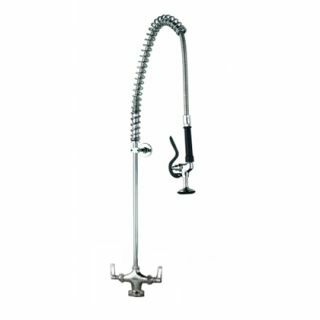 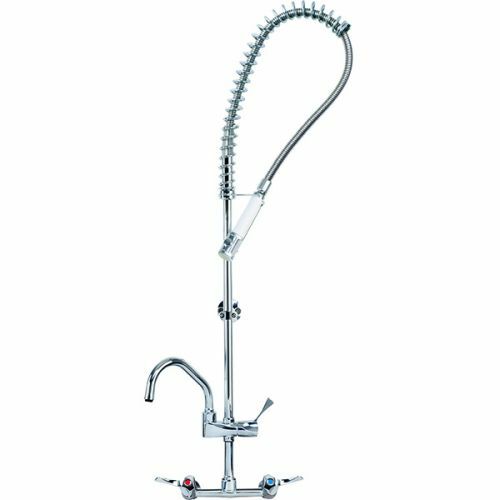 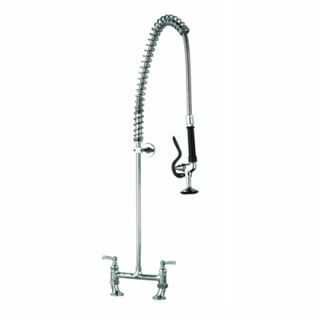 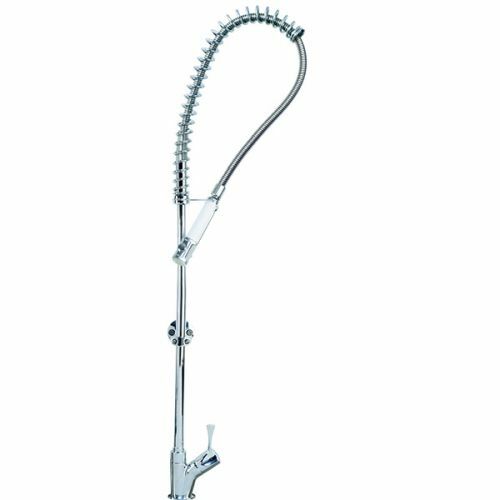 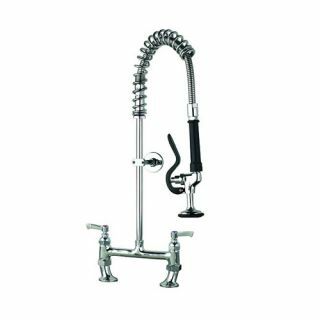 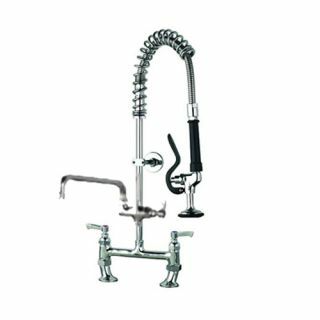 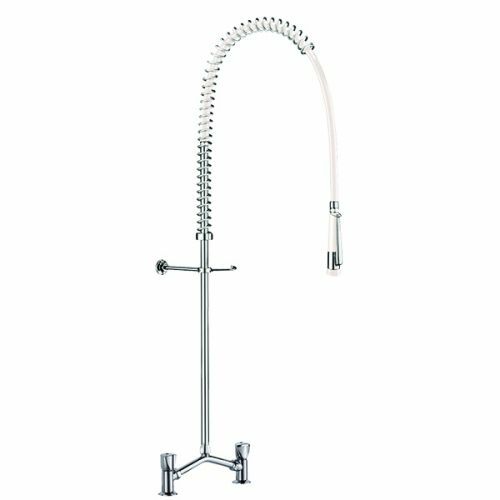 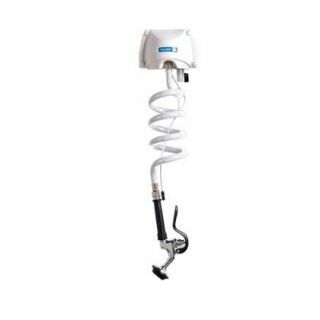 All of the catering pre-rinse spray taps come with a hose and trigger operated spray head and all except the super short versions can have an addition pot filler tap added. 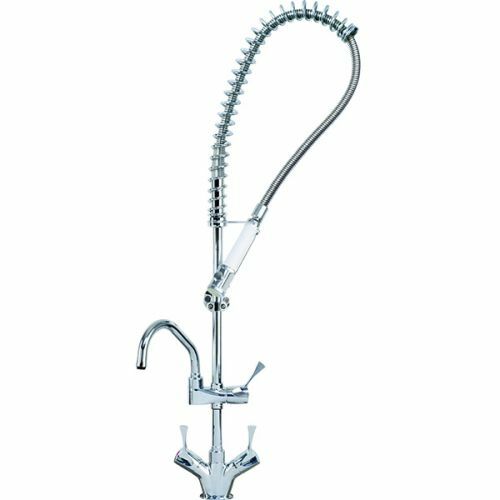 Ideal for rinsing heavy large pans before they are washed up by hand or put in the dishwasher. 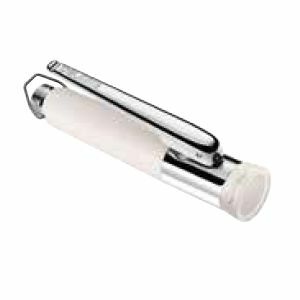 We can easily include a pre rinse tap to your catering sink order if required.